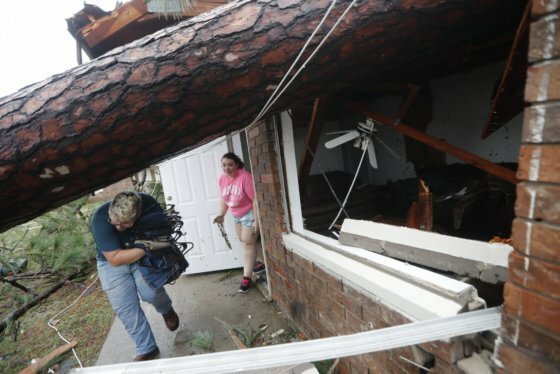 It has been six months since Hurricane Michael slammed into the Florida Panhandle as a powerful Category 4 storm, and the recovery is anything but robust. I spent some time in Panama City recently, visiting my brother, John Paul, and his family, who lived to tell the horrors of the massive storm. Their beautiful home was mostly spared, but even after the roof and siding were replaced, uprooted trees removed and fences mended, they’re still painting over ceiling stains from the leaking roof and trying to find the source of a moldy smell. They got off easy. But, generally, Panama City was devastated. Nothing was spared — hundreds of houses, entire apartment complexes, blocks and blocks of strip mall stores, nursing homes and 75% of the city’s tree canopy are gone. Just gone. Also, 25% of the population has relocated and the city is suffering from a lack of workers. Mayor Greg Brudnicki tells me that his city is still “in the critical care unit” six months after Hurricane Michael hit because it has been unable to get the federal government to grant money under the Community Development Block Grant Disaster Recovery program. “We’ve had Vice President (Mike) Pence here … We’ve had (U.S. Secretary of Education) Betsy DeVos here. We just need to get that particular set of funding going so we have the housing situation fixed … so we can bring back our workforce population that we desperately need. And that falls on Ben Carson,” Brudnicki said. He added that he believes Panama City has been forgotten because it’s a small city, unlike Houston and New Orleans. He wasn’t kidding. On the drive, long stretches of road that had once been lined with tall pine trees are now lined with fields of trees that have been eerily snapped in half in exactly the same place, bent over in the same direction. We passed Tyndall Air Force Base on the way — it was hit hard; its airplane hangars are still shells with the roofs torn off. The housing units are still all topped with blue tarp. Just this week, the Pensacola News Journal reported that Air Force Secretary Heather Wilson announced Tyndall recovery efforts would have to stop on May 1 if Congress fails to pass nearly $5 billion in supplemental funding bills. As for Mexico Beach, where Michael came onshore as the third most intense Atlantic hurricane in history, there are empty concrete slabs as far as the eye can see and, occasionally, a half-shorn foundation with personal belongings still swaying in the ocean breeze. I could count on one hand the number of habitable houses. There were very few people; construction workers mostly. The white “sugar sand” of the beaches was piled up in places so far from the beach that it was hard to imagine how much water had to travel inland to carry the sand that far. So much debris remains entangled in the brushes — one could imagine it will take years and years to truly clean up the mess. The photos tell the truly heartbreaking story. As for me, I felt an overwhelming desire to jump out of the car and pull some of the debris out of a canal. I wanted to drag broken trees into a pile for pick up. I wished I had the power to pull down the remnants of a sideways-facing home. It’s a helpless feeling. I’m just a visitor, so I just can’t imagine feeling that helpless everyday as the people who live there feel. But, the people who live in Panama City — and those who will return someday to Mexico Beach — remain hopeful. Those with intact homes are still hosting friends and families in their spare bedrooms and on living room sofas. They still gather on the weekends to help take down leaning trees and fix broken fences. Panama City Florida Hurricane Disaster Relief Fund: Look for the yellow PayPal button mid-page. This is a nonprofit organization that uses the funds for hurricane recovery. RetreePC: Contributions will buy trees from Florida nurseries to restore Panama City’s parks and green spaces. 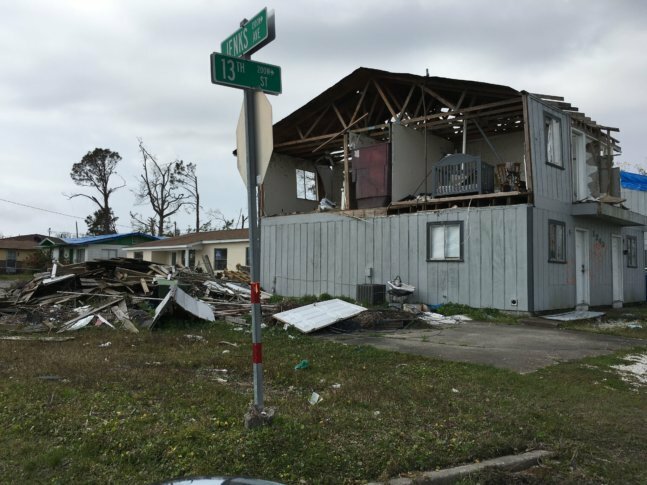 WTOP’s Joan Jones reported from Panama City, Florida.